The 2014 product line features several updated shapes with more to come. 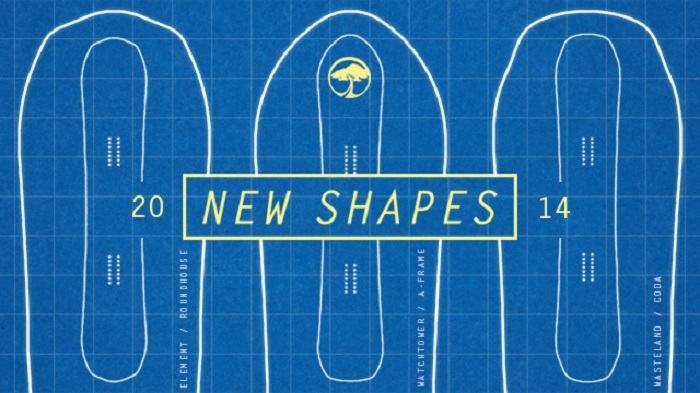 Venice, CA – December 6, 2013 - Arbor Snowboards has launched their 2014 product lineup complete with brand new shapes and improved technology. Arbor’s freeride boards known as their “Roots Collection,” were the focal point of the changes. Updated tip and tail profiles across the collection brings a progressive, technical look and feel to the handmade craftsmanship upon which Arbor has built its reputation. The Coda and Wasteland models feature a new tapered, boxed-out tip profile and the A-frame and Watchtower have been updated with a modern take on the time-honored “powder gun” design. The Roundhouse and Element round out the new shapes with a quadratic “diamond cut” tip and tail. In addition to the updated profiling, all of the new shapes include longer tip and tail transition zones paired with a lowering of the overall tip and tail heights. The result is an improved, more streamline float when charging through powder or mixed conditions.